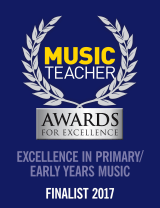 Do you want music and singing to be a regular part of children's learning in your early years setting? 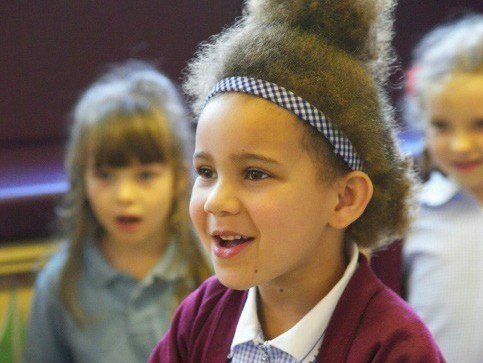 Providing a rich musical environment is an essential part of early years education as it helps the brain to develop to support all areas of learning. Music boosts children's experience across the curriculum and is powerful in the enjoyment which it provides. The Voices Foundation works in a number of state and independent nurseries and early years settings across the country offering music training for all staff. Our approach to improving musical learning through the side-by-side development of teachers and pupils is unique. We can work with your staff over the course of a year, or provide one-off training sessions. Training is bespoke and is tailored to the needs of staff. Our training improves teacher subject knowledge so that they have the confidence to deliver a playful music curriculum through song, instruments, movement and listening using high-quality resources such as books, props, puppets and instruments. Teachers will be introduced to a range of songs and associated games and activities which harness children's creativity and development. A CPD programme with your staff will provide them with the tools to deliver varied and engaging music activities which enable all to participate. “The INSET training was great with lots of useful ideas and songs that the staff have taken back into the classroom. Staff feel they are able to plan exciting and motivating lessons which will inspire them. The children have benefited enormously from this and are now using musical terms when exploring musical instruments”.